Fast, flexible and accurate terrain modelling. LAND4 for ARCHICAD 22 is available now! 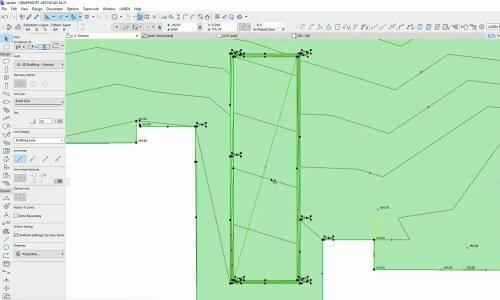 LAND4 offers a new approach to landscaping in ARCHICAD and introduces four new landscaping objects: spot levels, fall lines, LANDSurfaces and ridge lines. All are dynamic and interdependent, which enables fast and flexible terrain (re)modelling. XYZ data from e.g. a surveyor file can be imported directly into LAND4 in a few clicks. Here they are automatically turned into dynamic LAND4 spot levels. 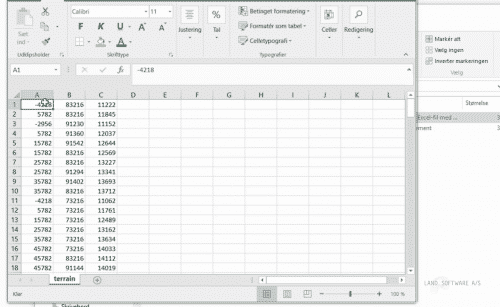 Import formats are XYZ, CSV and TXT. Export of XYZ data is equally easy. LAND4 is easy and intuitive to use. 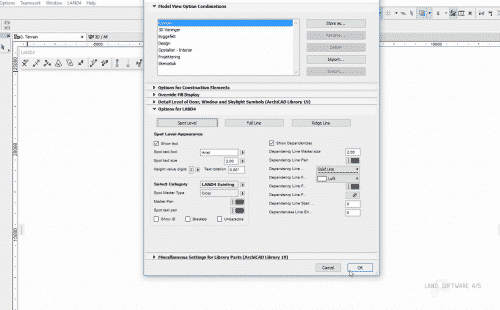 Menus, palettes and objects are fully integrated int the ARCHICAD user interface, just as you e.g. can use both Fills and Slabs to create holes in a LANDSurface and turn a LANDSurface into a Mesh with one click.